WILLIAM KOCH, a retired lumber man of Greenville, is a native of Klein, Ruden, Germany. He was born March 22, 1822, and is a son of Christian and Fredericka (Macke) Koch, natives of Brunswick, Germany. His father was an extensive farmer of that country and he and his wife spent their entire lives in their native land. They had a family of eight children, of whom three came to America. Of these Jacob located in Vandalia, Ill., and died in Tazewell County; Christian was a resident of Vandalia, Ill., until his death; and William. We now take up the personal history of our subject, who was educated in his native land and remained on the home farm until his immigration to America in 1849. He crossed the Atlantic' in a sailing-vessel and after a tempestuous voyage of twelve weeks, landed in New Orleans and from there came up the river to St. Louis and on to Vandalia, Ill., where his brother Christian was living. Two years afterward he purchased two hundred acres of land northwest of Vandalia and embarked in farming, and made his home upon that farm for about twenty years. He then sold that tract and purchased two hundred acres of wild land near Vandalia, which he transformed into rich and fertile fields and improved with good buildings, etc. Subsequently, he again sold out, and after a short residence in Vandalia came to Greenville and embarked in the lumber business with J. C. Gerichs. This partnership continued for twelve years and they did a large volume of business over an extended territory. Mr. Koch was married in Vandalia in 1851 to Miss Mary J. Walter, who died in that city. In 1869, he was again married, his second union being with Miss Minnie Stoll, who departed this life in 1883. Mr. Koch has no children of his own but has reared three: John Walter, who came to him when eighteen months old and under his roof grew to manhood, and two nieces Carrie and Maggie Sonnmann, who have lived with him from the ages of fourteen and six years respectively. In connection with his other business interests, Mr. Koch purchased one hundred and sixty acres of land just south of the city and another tract of sixty acres which he has improved and has under a high state of cultivation. He has a fine flock of Shropshire sheep on the farm and owns besides a large amount of other stock. He laid out the Koch Addition to Greenville, in the southwest part of the city, and has been a prominent and influential citizen, who takes a commendable interest in all that pertains to the welfare of the community and its upbuilding. In politics Mr. Koch is a Republican and has held the office of Alderman for six years, for one year was City Treasurer, and has been one of the Directors of the School Board for seven years. The prompt and faithful manner in which he ever discharges his public duties has led to his frequent re-elections, and won him the commendation of all concerned. He is a faithful member of the Christian Church in which he serves as a Deacon. His home is a fine residence in Waits Addition, and the owner is recognized not only as one of the wealthy but as one of the prominent and valued citizens of this community. His life has been an honorable and upright one, which has gained him the confidence and respect of all with whom he has been brought in contact. 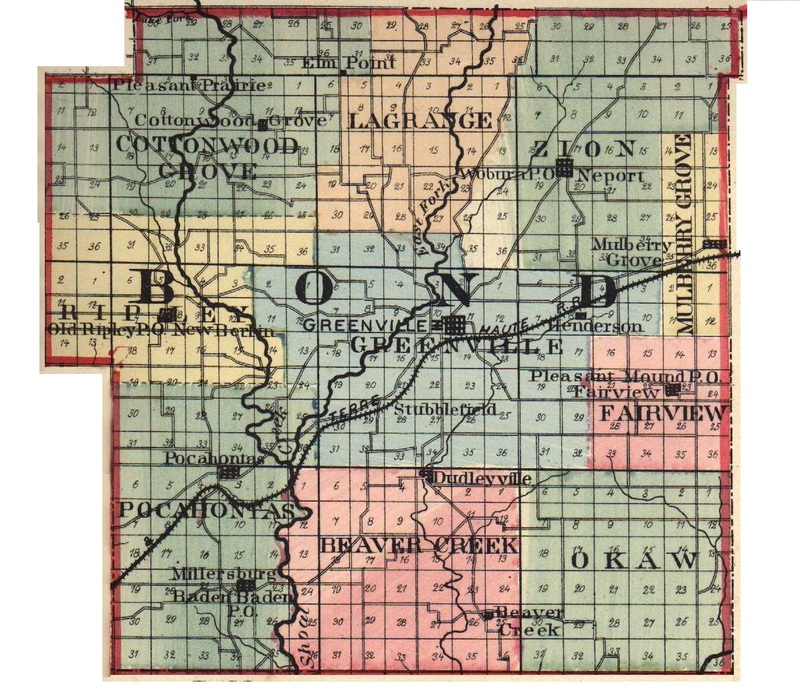 Extracted 20 Dec 2016 by Norma Hass from 1892 Portrait and Biographical Record of Montgomery and Bond Counties, Illinois, pages 299-300.